We’ve just returned from a short break on the south coast, staying in Brixham. We’d been invited to a child free wedding (and it was a beautiful wedding!) and decided to make a break of it by taking my parents along as childcare! 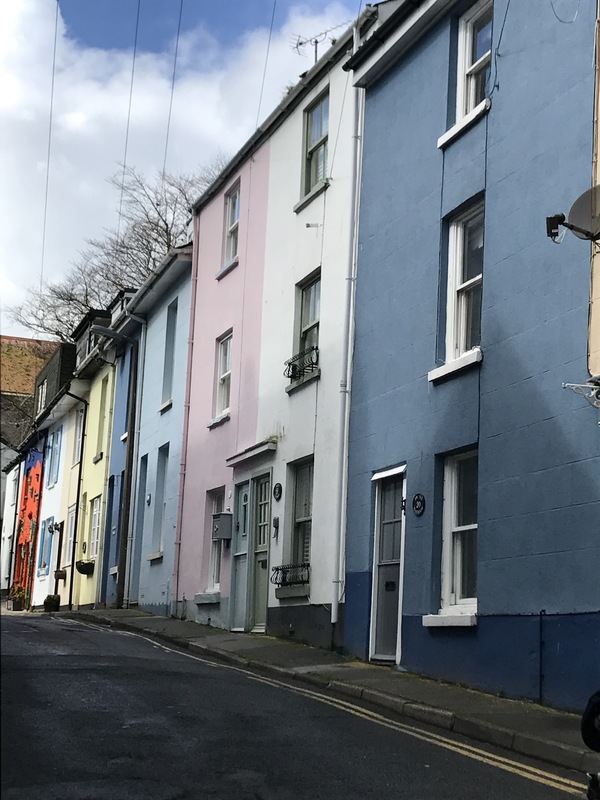 We booked a wonderful little cottage in the heart of the conservation area in Brixham. 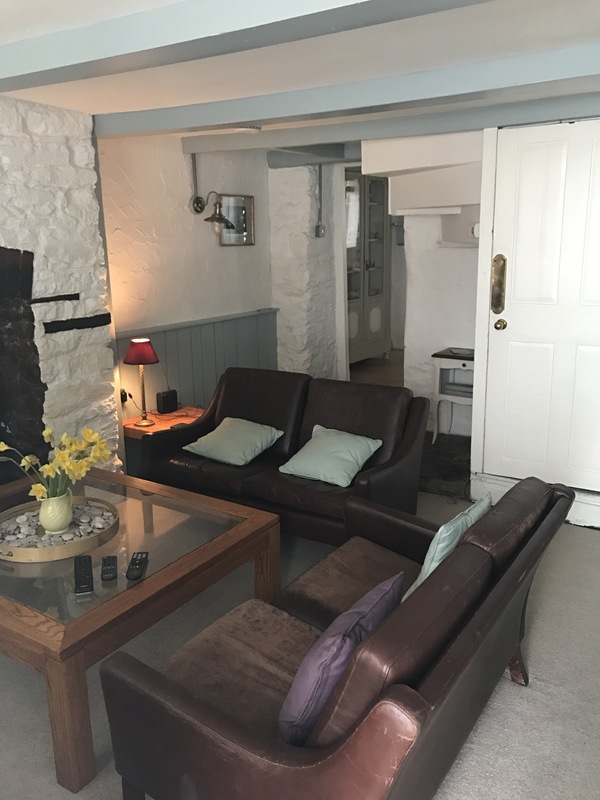 Rose cottage is availiable via Air B and B but also via owners direct. It was ideally located, just a short walk from the main harbour and all the cafes and restaurants. The cottage has no allocated parking (which could be an issue in the summer!) but on this occasion there was plenty of free parking an easy 5 minute walk away. 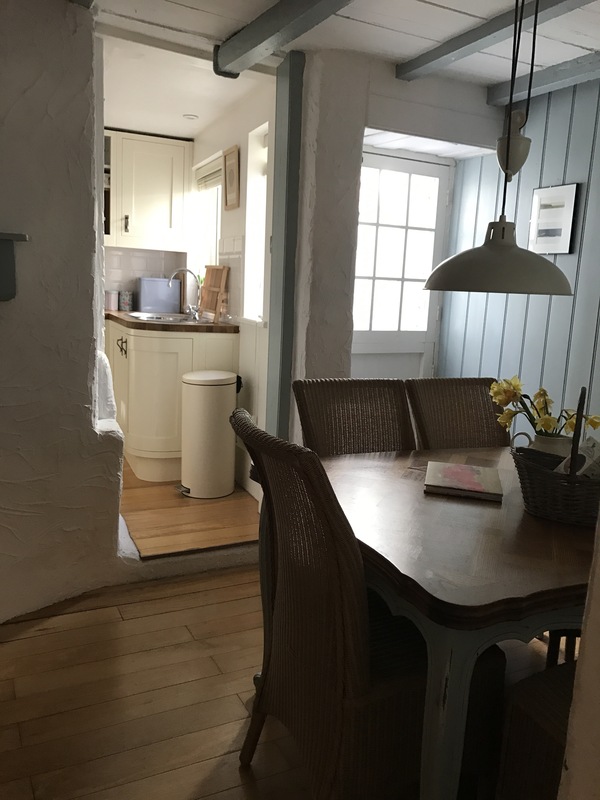 The cottage was beautifully styled and wonderfully equipped. I was delighted to have feather pillows and duvets (why do so few places have high quality bedding!) and we all slept well. The only issue if you’re travelling with little ones is the amount of light coming into the bedrooms (with the exception of the top loft bedroom). Mental note to pack our Gro company blackout blinds. As it happens it didn’t make any difference and the children slept well! The cottage was also well equipped with children’s equipment – plastic plates, cups and a high chair. The stairs are steep (as you’d expect in a cottage of this age), so you’d need to watch any little ones (and grandparents for that matter!). It’s worth noting that there is a door to shut off the stairs from the living room and a travel stair gate fitted across the bedroom doors so it wasn’t an issue at all. It was a perfect place to stay and we’d definitely return should we find ourselves in the area. If you’d prefer a hotel we enjoyed a trip out to Berry Head Hotel for our friends wedding. It isn’t the most modern of places, although some communal areas have been done up to a very high standard so I suspect it will become very sought after, but it has spectacular views, friendly staff and an indoor pool. It’s practically next door to a lido (more about that below) and has wonderful grounds and a bowling green. There were also baby changing facilities in the ladies loos. I’m sure it would make a very family friendly option. There are an abundance of cafes and restaurants in Brixham. We were only there for 2 nights and we ate at home on the first night (home made cottage pie – yummy!) and went to the wedding the second night. That said, we still managed to try four places! On our first morning we enjoyed a lovely walk around the harbour, watching the boats coming and going. When rain set in we stopped at the Breakwater bistro for a much needed cup of coffee (and cheeky piece of cake!) It’s directly on the pebbly beach and has wonderful views over Brixham and the bay. When in Brixham you really have to try fish (£25 million of fish is landed and auctioned in Brixham on a yearly basis). We had a pre-wedding fish and chip lunch in one of the many cafes overlooking the harbour and it certainly lived up to our expectations! Much to be delight the children also ate it without a fuss so it was a win win situation! Whilst we partied at the wedding my parents looked after the children. They sure know the way to my daughter’s heart….a trip to I.scream ice cream parlour. It serves local Devonshire ice cream and has a huge selection of flavours (around 25 tempting options!) Thankfully, given the rain, there was some seating inside. They all came home raving about it. For lunch on our last day (ok, well our second day! ), we opted for Shouls, slightly further out of Brixham but with spectacular views over the sea and the lido (yes there’s a salt water lido during the summer months!). It serves a delicious selection of fresh fish (and some other options for those that prefer something else). I’d advice booking as its a small place perched on the side of a hill. 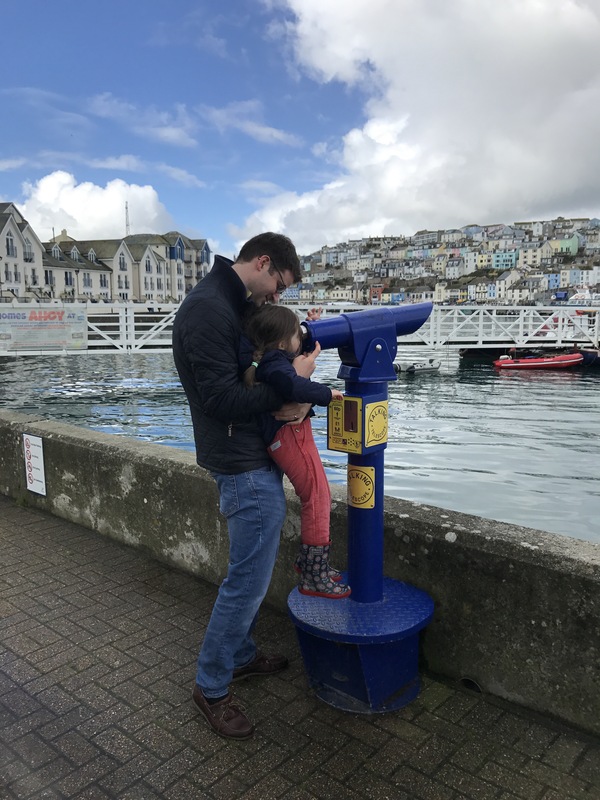 There’s a pay and display car park immediately next to the cafe….but you could equally work out from the centre of Brixham (its an easy 25 min walk with a pram!). When by the sea I tend to enjoy the simple things in life – watching the boats coming and going, playing on the beach, collecting treasure (shells, pebbles, wood, sea weed etc) and generally enjoying the fresh air. 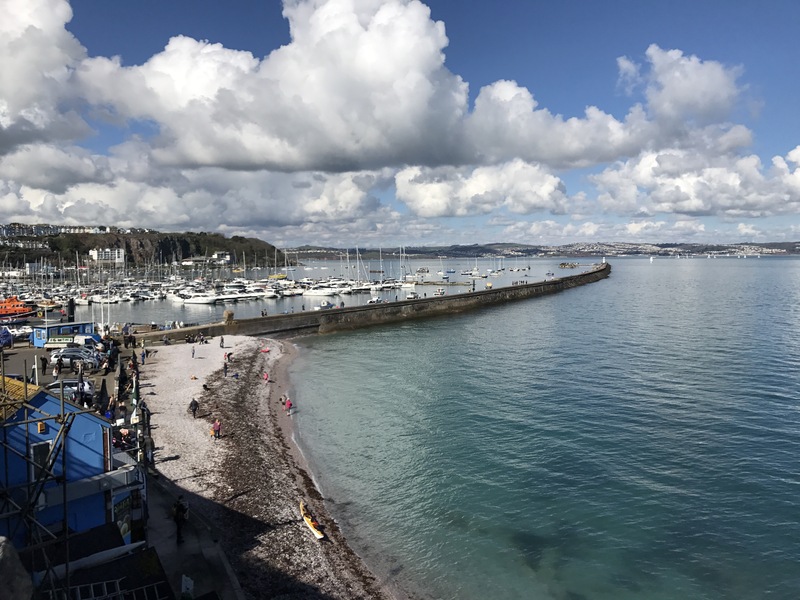 Brixham offers all of this, combined with spectacular views. 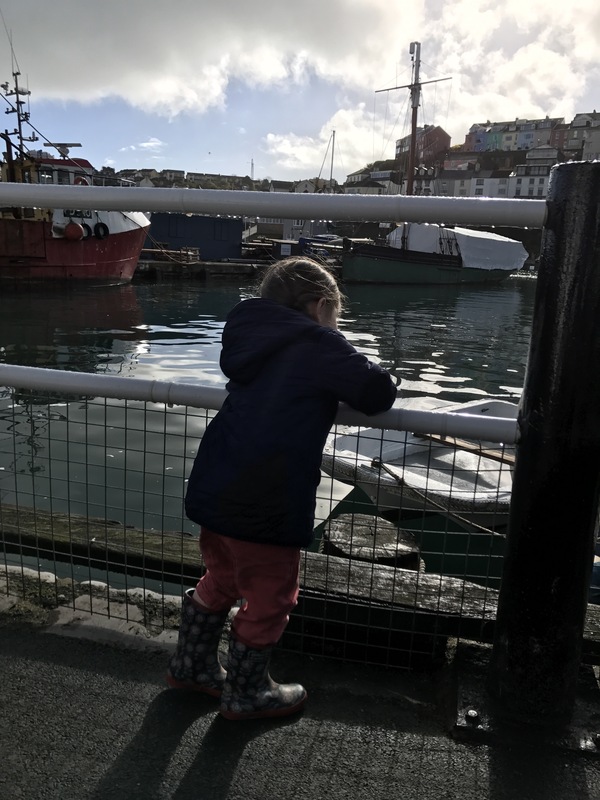 We all enjoyed walking around the harbour towards Berry head (and little ones could easily scoot along here…there is a fence so the risk of falling in is minimised!). There’s a wonderful harbour wall with a little white light house at the end and plenty of crabbing opportunities around the harbour. 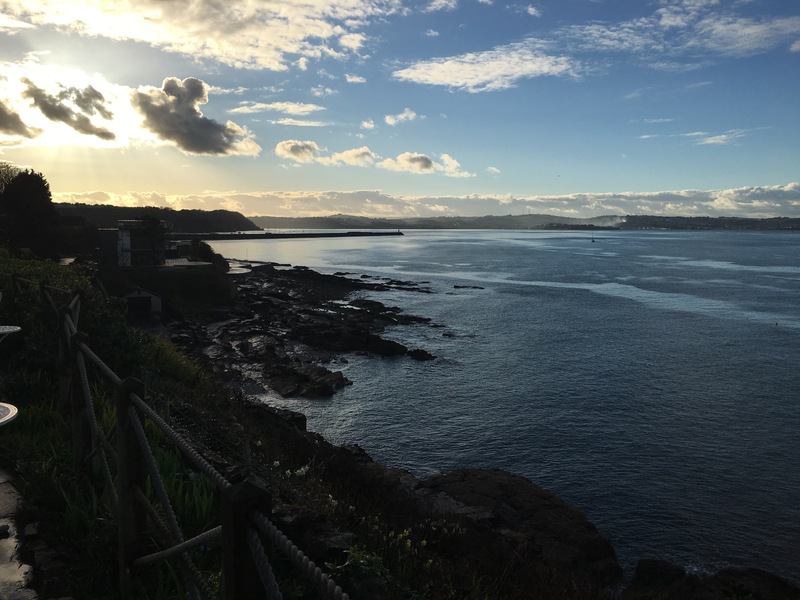 Nearby Paignton has lots of other child friendly options – a good guide to child friendly activities can be found here (we didn’t have the time to explore any of these so we’ll have to return!). We had a wonderful weekend away and really felt like we’d escaped the hustle and bustle of family life. 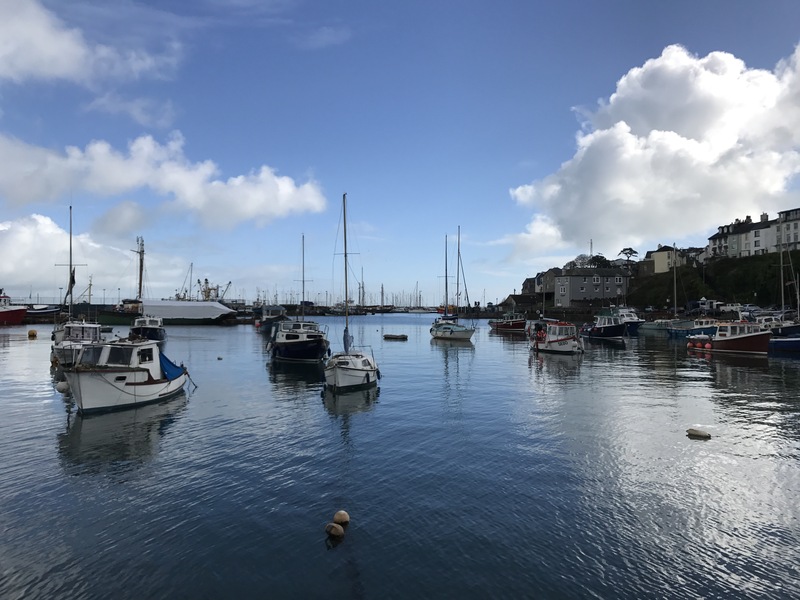 With only 2 nights in Brixham we didn’t have the time to explore all that’s on offer in the area and we’d certainly return for another short stay but would try and avoid the peak holiday periods! We’ve decided that gone are the days of bombing off to a wedding, staying one night and returning hungover the next day….its far more enjoyable for us all if we make it into a mini break and you get to discover new places and make memories at the same time! Next postTV on tablets – what does and doesn’t work abroad?! ?